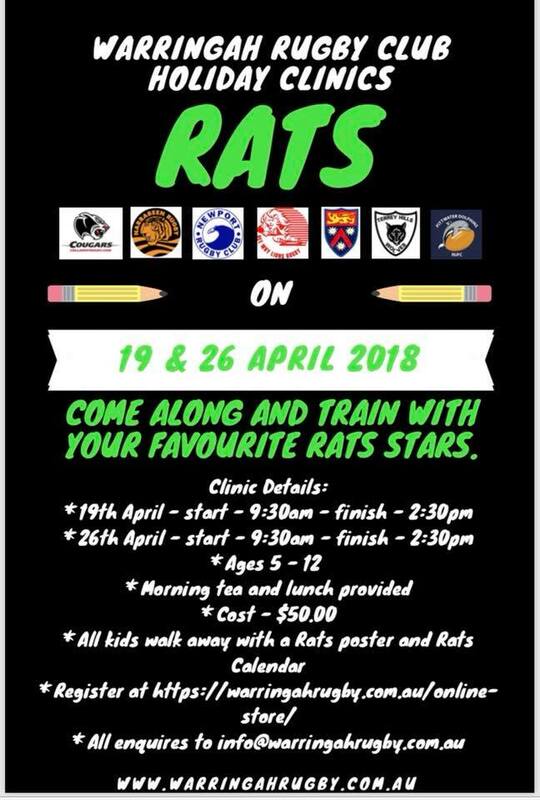 This coming school holidays the Rats Rugby Holiday Clinics are back! Don’t miss out on your chance to be trained by some of your favourite Rats players. All kids are welcome! No rugby experience is needed, just come along and have a fun day out learning about rugby union and meeting new friends. The day is open to both girls and boys between the ages of 5 -12 years old.